The art of Kalamkari painting is one of the oldest among the traditional arts of India. 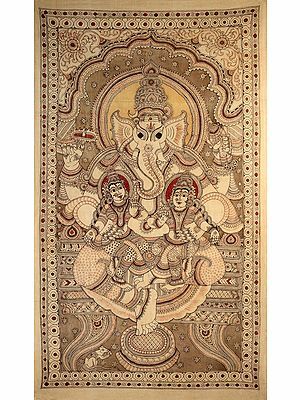 Drawing upon a repertoire of well-loved epics, Kalamkari is full with richness of colour, simplicity of narrative and precision of detail in its presentation that remains unparalleled by other art forms of this genre. 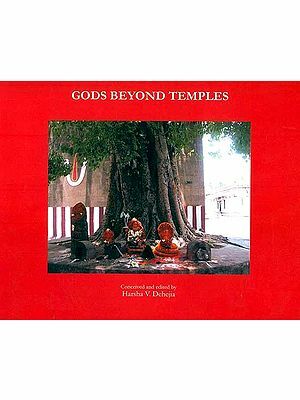 In this book, the salient features of this fine art of Kalamkari are interestingly explained. It also details how this ancient textile craft which was deeply rooted in religion has adapted itself to the social changes and political upheavals while evolving into a secular craft in order to conform to changing cultures and trends through the ages. Written in lucid style, the book explores the origin of the beautiful craft and other traditional design forms and documents their evolution as well as carves a road-map for the future. About The Author Shakuntala Ramani is the chairperson of the Craft Education and Research Centre of the Kalakshetra Foundation, one of the premier art institution of India. A close associate of the late Rukmini Devi Arundale, founder president of the Kalakshetra, the author has served the organization in various roles such as member of the academic Council, editor of the Kalakshetra Art Quarterly and the Kalakshetra News and head of the weaving centre and vegetable dye block printing unit. A research unit for reviving the use of vegetable dyes in present-day fabrics was established at the Craft Centre of Kalakshetra in the year 1979. The project was initiated by Kamaladevi Chatopadhyay, the doyen of Indian handicrafts and Rukmini Devi Arundale, founder president of Kalakshetra. The research programme was started with the establishment of a Kalamkari unit in our premises. Kalamkari is an ancient Indian textile tradition in which designs are fully hand-drawn or block printed using vegetable dyes. Fabric samples have been found during excavations at Mohenjodaro dating back to 2600 BC to 1700 BC. Similar fabrics were also found in a tomb at al Fustat near Cairo proving that it was a prized commodity of trade in the ancient world. This beautiful art however, had all but vanished in the country of its origin. The term Kalamkari was used in the Indian marketplace to describe a particular type of block print often produced with chemical dyes. Traditional Kalamkari centres had disappeared and craftsmen who knew the ancient techniques were a mere handful who jealously guarded their knowledge to preserve their monopoly. As head of operations, I had to travel widely to understand and unearth the secrets of this craft, which was nearing extinction. A study of ancient Kalamkari textiles in museums and private art collections revealed the inner strength of this art form. It was fascinating to see very old textile pieces dating back to the 17th and 18th centuries, tattered and brittle with age but still retaining their original colours produced with vegetable dyes. It was obvious that age-old practices and traditional techniques, even though unscientific, had stood the test of time. Kalamkari designs pertaining to different periods in history presented a pictorial record of the changing face of society through the ages. As the study progressed, spiraling back into the mists of time, the magnificence of this art form stood revealed in all its glory touching many areas of human endeavour, just like the cosmic figure (Viswaroopam) of Sri Krishna revealing the whole of creation within his body (allusion explained on. p. 6). 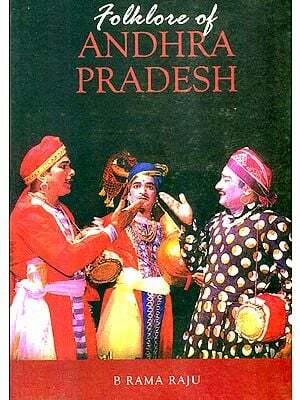 In writing this book, I have attempted to explain the early origins of this art form and subsequent transformations though the ages, which makes it so rich in content and imagery transforming it from a mere textile design to an art form, which reveals the very soul of Indian culture.